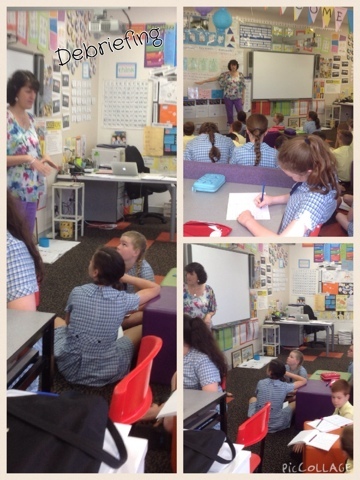 Stage 3 Learning Centre: Both Year Six classes are working together. Mrs Hatton and Mrs Davis decided that the Year 6 students were mature enough to spend the last term of their junior School years working together as a whole group. A Home Room was created where all the students' belongings would be kept. Students will meet together for explicit teaching and instruction and then move to an appropriate learning space to work relationally, collaboratively, creatively and critically on their learning. 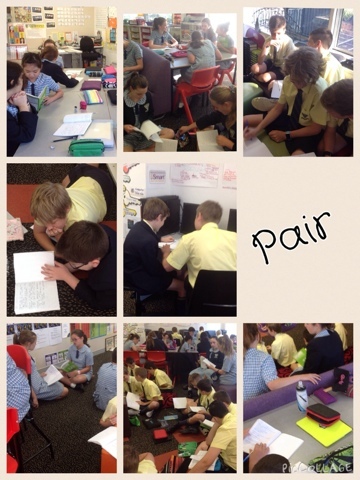 The students participated in a think / pair / share routine. 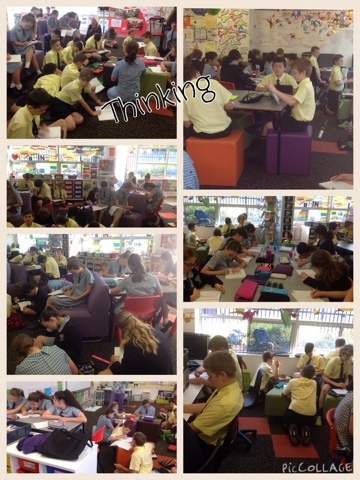 Here are the students thinking individually and then as a pair. The debrief was very successful as students responded well. We are really looking forward to a fabulous term of learning and advancing the skills in the Inaburra Learner Profile. I really enjoyed getting to work with students from the other class! It was very exciting!